Jet Engines are ready for testing! Realistic thermodynamic simulation allows you to tweak their size, bypass ratio, compression ratio and afterburner and see how it affects performance. Cycle through the different visual styles for nozzles, fans, inlet cones, and shrouds (or remove their shroud and see their naked core). 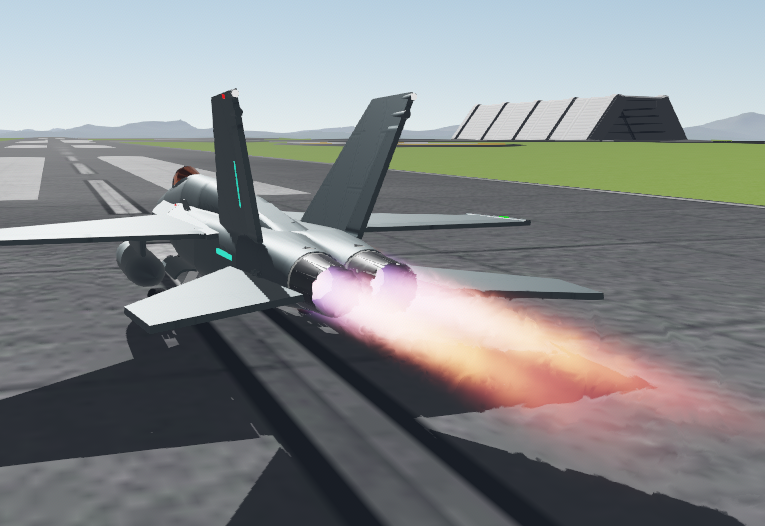 You can easily create high bypass turbofan engines or low bypass military afterburning engines and anything in between. Added SimpleAirways to stock craft. 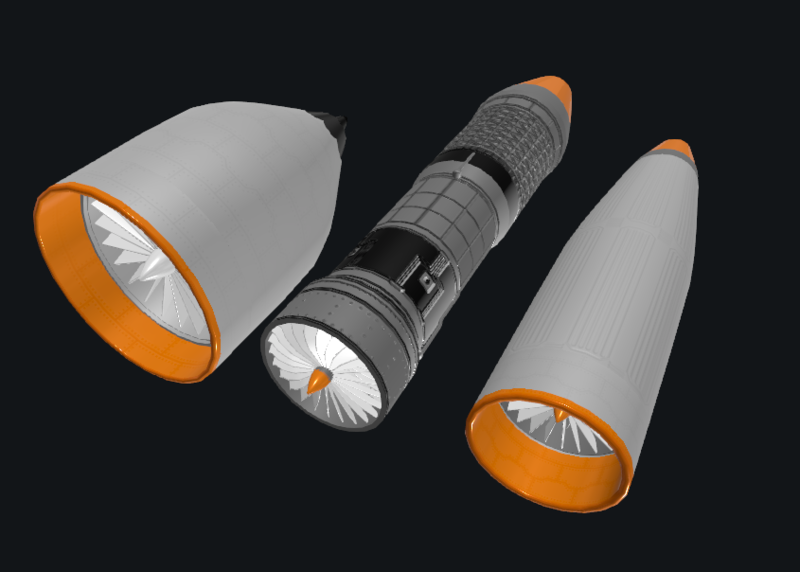 Added shroud curvature and shroud/nozzle overlap settings to jet engines. Added jet engine thrust reversal. 0.6.9.1 Saw the new shroud options. That's pretty cool addition. Do I want an afterburner? HELL YES!!! Really, the jet, try it. In this update the length of a part minimum went from 0.1 to 0.2 Can we please have our 0.1 back? @mjdfx150529 Ooooh, I didn't notice there was a new stock craft. Thank you! So now we have customizable jet engines, are there plans for customizable rocket engines? When I tried Wasp 2.0, I didn't have any aileron control with Q/E (I'm using the default mapping.) I found the Control Chip buried in the fuselage, but I was surprised by the orientation of the chip -- which I think defines the orientation of the control axes. I thought the chip would be flat on one of the fuselage stations -- so the longitudinal axis would be normal to the chip, like in a rocket design (flat on top of a fuel tank.) Any diagrams or documentation about how the control axes are defined? @swope Nope, but you can slide the compression ratio down to x1 and basically have a ramjet. @Tully2001 That's it for the inlet for now, but we may add some options like the slant to all fuselage parts at some point. @pedro16797 That's great! But thank @NathanMikeska for that. He did all the work on input controllers for this update. do you just attach them to a fuel tank? It's great! Wheels on small aircraft still seem to have a problem with traction. Also we need sonic booms and effects now. I want an X-43 and X-51!